Item # 313372 Stash Points: 5,495 (?) This is the number of points you get in The Zumiez Stash for purchasing this item. Stash points are redeemable for exclusive rewards only available to Zumiez Stash members. To redeem your points check out the rewards catalog on thestash.zumiez.com. Rip it, old school style with the Sausage x Scum Face 9.0" Skateboard Deck. This old school shape features collaborative graphics from Sausage Skateboards and Scum, of a crazy face! 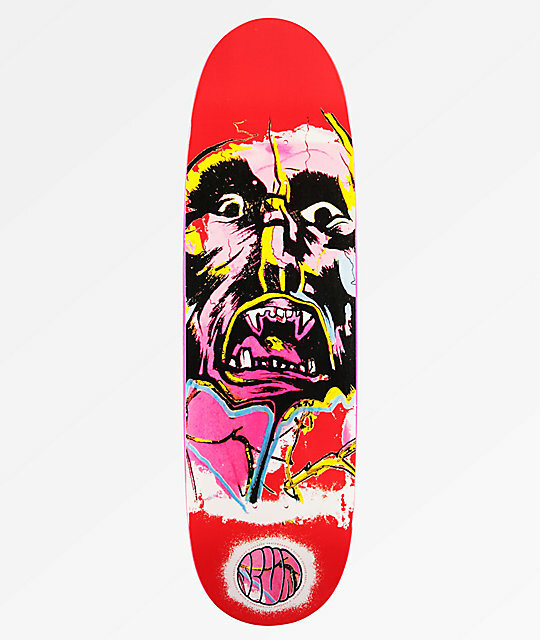 Face 9.0" Skateboard Deck from Sausage x Scum. 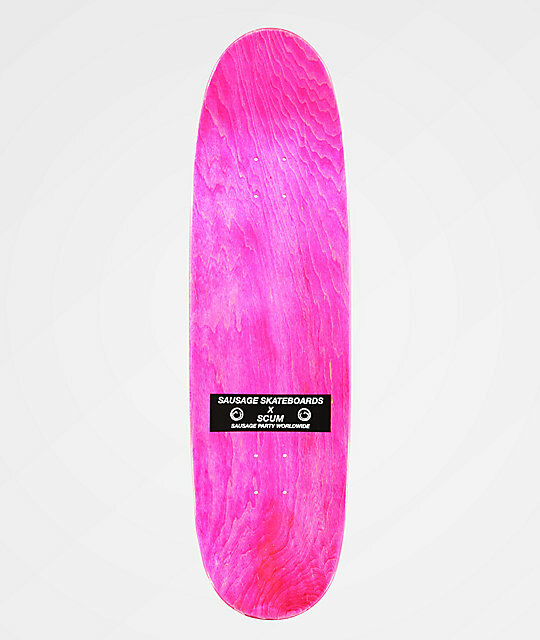 Mellow concave with pointed nose and square kick tail. Collaborative Scum & Sausage graphics throughout underside.